The meaning of "Koyaanisqatsi," roughly translated into English as "life out of balance," displayed on screen before the final credits, offers audiences a touchstone on how to organize and think about the array of visuals and music with which they've just been bombarded. At the same time, it also ties the film to a specific viewpoint, instead of allowing the film to speak for itself, as it does eloquently. 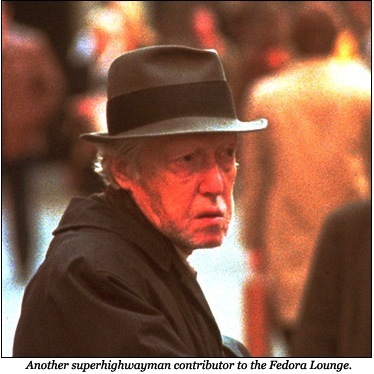 With this in mind, critiquing Koyaanisqatsi presents something of a challenge, because in offering an explanation or perspective on the film, one reduces the unbounded to a limited set of words and ideas. Naturally, this is also how language operates in reality and why language is the key component of ideology. But, since what we’re doing here is using language to try and expound on Koyaanisqatsi, we'll proceed with the caveat that the film resists concrete interpretation and offers itself, like reality, as material for a variety of thoughts and perspectives. That said, as mentioned above, Reggio, Fricke and Glass definitely set out to create a statement piece, one that would not only amaze, but affect an audience, move them emotionally, lead them to empathy, to re-seeing the world in which they live. The experience of Koyaanisqatsi doesn't stop when the movie is over, but continues for as long as one is able to see the world through strange eyes. The structure of the film roughly moves from the absence of people and technology, to the effects of people and technology on the earth, to the effects of people and technology on people and technology. From serene but disturbing desert landscapes, heavy with glacial time to the haunting faces of passersby in a large city, every image in Koyaanisqatsi overflows with the uncanny simultaneity of familiarity and alienation. This reflective meta-awareness defines "postmodernity." Everything is both what it is and pretending to be what it is. Less an attribute of the objects themselves, this reflexivity belongs to the contemporary gaze, a gaze filtering information at a rate exponentially greater than it ever has before. The influx of data via communications technology, the constant exposure to mass media, the cynical distance between our social discourse and our social reality all serve to shape and consequently distort the observer's gaze. Koyaanisqatsi breaks the frame of the gaze, making its very structure apparent, bringing its background to the foreground. Behind the panoply of images pulses Glass' mind-blowing score, a masterpiece in and of itself, but meshed so perfectly with the visuals as to create something greater than the sum of its parts. Glass was no stranger to the message of Koyaanisqatsi, having broken through with the incredible Einstein on the Beach, another seminal artistic exploration of science and technology in the modern world. But where Robert Wilson, Glass' collaborator on Einstein, chose a specific individual to represent, Reggio took on the abstract concept itself, representing how this amorphous and intangible social product affects the human beings who live inside its envelope. As filmmaker Errol Morris said, "[Glass] is the best at creating existential dread." One can listen to his very early works, such as Two Pages or Contrary Motion and already feel the "Philip Glassness" for which he became known. Glass' detractors often comment that his music is simple, boring, simple, boring or repetitive. They miss the point entirely, as Glass is one of the best-studied, hardest working and most insightful composers of the 20th and 21st centuries. His ability to create, with only a few notes, an undeniably modern anxiety, using tonal, often beautiful music, makes him the perfect companion to Fricke's camerawork and Reggio's artistic vision. Contrast, for instance, Kubrick's use of Ligeti in 2001: A Space Odyssey. Ligeti's amazing, but difficult, music infused that movie with an otherworldliness to match the bizarre visual effects and anti-logical narrative. But Ligeti in the Qatsi trilogy would have undermined the entire production. Though anxiety-ridden and tense like no other music, Ligeti lacks the uncanny familiarity of Philip Glass' work. A single bar of Glass might seem pleasant, even banal. Yet the repetition of that phrase, with slight variation, addition or subtraction produces the "existential dread" Morris described. The same is true of Fricke's cinematography. Each shot is masterful, beautiful, but held too long, forcing the viewer to confront the existential dread of both the object presented and the gaze beholding it. This is especially true in the later part of the movie when the camera hangs for what feels like an eternity on individual human faces. The duration of each shot stimulates not only discomfort, but empathy. Each face, each person, belongs to the human condition as does every audience member. At first, we may notice the strangeness of a particular face, an asymmetric feature or physical anomaly, but eventually we begin to see the person, which can be a harrowing experience, confronting another autonomous, desiring subject, whose internal life is completely sequestered from our experience. But eventually, the realization dawns that behind whatever pretense or defenses this person has erected, behind the strangeness of their face, even behind their unpredictable desire, lives a mortal creature, unique, self-aware and vulnerable. Reggio may be returning to this idea, if the trailer for his yet unreleased film The Holy See is any indication. Fricke's shots of the city portray it as an organism, pulsating with the life of the people who populate it. Cars stream past like blood through arteries, and the sun passes over office high rises, their fluorescent lights flickering on and off. But this organism possesses no life of its own, it's a golem, an undead monster, swallowing whole its inhabitants. The frenetic pace here, increasing relentlessly along with Glass' score, are prescient of the increasing speed of civilization. Koyaanisqatsi was made in 1982; its efficacy has actually increased, if anything, because it explores the fundamental processes of American society—the frantic need for progress, for information, the inhuman prioritization of abstract institutions over individuals, the population density of big cities and its counterintuitive atomization of that population. After the mercurial city section reaches its peak, Reggio leaves us with a drastic anti-climax, a subdued, sorrowful look at the haggard, abused people of the city, having left the macrocosmic gods-eye view for the human perspective, we're shown the actual cost of this progress on the people participating in it. Transparent human forms glide across a trading floor like ghosts, emptied of their substance, slaves to the numbers, paper and technology of the market. Many other films done in this style, even some by Fricke, such as Chronos or Baraka, lack the existential punch of the Qatsi trilogy, as they lack its political and social involvement, thus separating out the visual technique from its commentary. Though stunning, those films are more the eye-candy for which Koyaanisqatsi is sometimes mistaken. 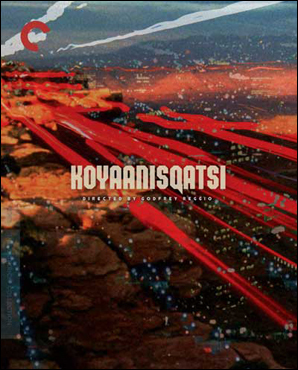 Reggio's engaged vision continues through the arc of the Qatsi trilogy, but Koyaanisqatsi is also a self-contained entity, weaving a dramatic and poignant narrative without a single character or bit of dialogue. Perhaps the most important message one can take away from this film is that the everyday world in which we're immersed requires constant re-examination. The fact that we can become so numb to its goings-on should come as a warning that those who exploit that numbness count on us not looking closer at what's in front of us. I highly recommend watching this interview with Godfrey Reggio, where he briefly outlines of his ideas and beliefs, which has informed much of this analysis. Note Reggio's comments about language, where he speaks of how language can create the world in which we live. Earlier in the interview, he talks about two worlds, the world of language, which is moral, and the material world, which is amoral. Here, despite his pessimism for the material world, governed by the "assumptive" language "of business," shines through a foundational optimism, that the "world of art," as he calls it, can transform the human experience of the material world into one that is creative. 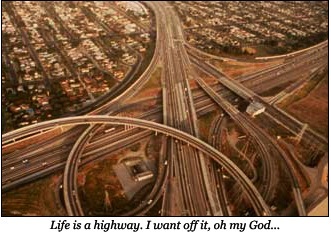 Koyaanisqatsi itself is a prime example of how this can happen. Although the subject matter is grim and the message engages some of the worst facets of modernity, the work itself is sublimely beautiful, an authentic expression of humanity and compassion. Buy it, steal it, do whatever you have to do to watch it repeatedly, as each viewing reveals more and different things. The Criterion release is impeccable, of course, with the best audio and visual quality the film has seen, a major bonus given the nature of the material.